The high voter turnout for last week’s RU-Pass referendum may have to do with the U.S. midterm elections, says Ryerson public servant in residence, Frank D’Onofrio. 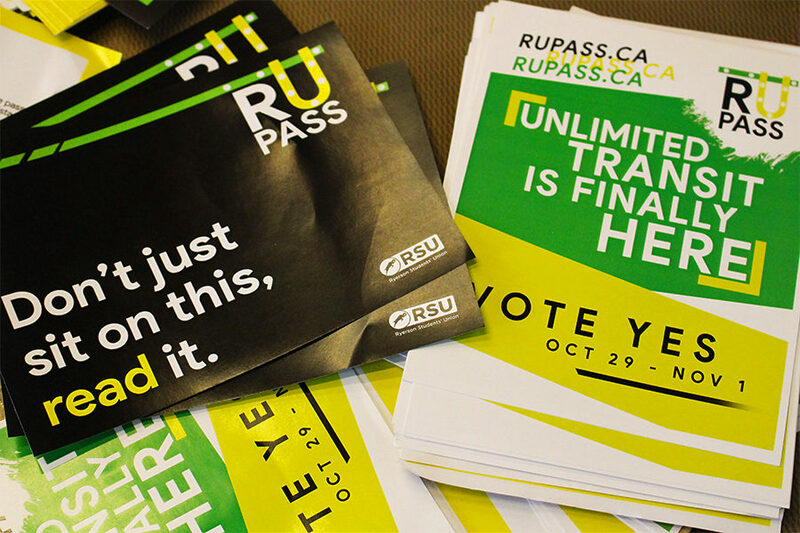 Nearly 43 per cent of eligible students cast a vote in last week’s referendum, which saw the RU-Pass approved with 62 per cent of voters saying ‘yes.’ This is a stark contrast to the previous RSU-initiated referendum — held on the question of whether to increase students’ fees by $5 each semester to support the Sexual Assault Survivor Support Line and the Good Food Centre — which saw only 11.3 per cent of eligible voters cast their ballot. While the midterm elections may not have happened in Canada, D’Onofrio says young people are realizing that every vote counts. But as soon as the U.S. midterm elections are over, D’Onofrio says Ryerson has to capitalize on the momentum to ensure voter turnout continues to increase in future referendums. “[We need to] find those natural opportunities where we can have conversations with people to explain how their vote counts and give them a rational reason for voting,” he said. In the meantime, D’Onofrio says the rise in voter turnout is promising and should be applauded. VIDEO: Do you know what the Yellow Book is?